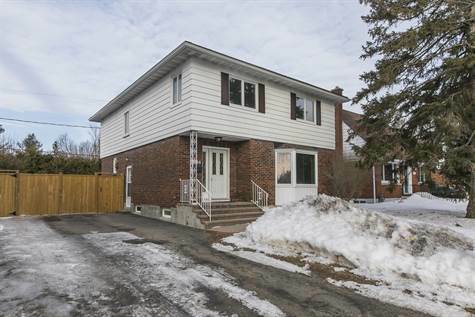 ENTIRELY RENOVATED 4 Bed 4 Bath beauty on large landscaped lot. Professionally finished throughout,this home is a full third Larger than similar looking homes in this desirable neighborhood. House has huge addition added to all 3 floors affording monster gourmet kitchen w/custom cabinetry, oversize island, Italian tile flooring, and quartz tops. Brand new windows let the sun shine in! Master bedroom has spa like Ensuite & lots of closet space. Oversize bedrooms, Ground floor Laundry, fully finished basement with potential in law suite, premium fixtures, cozy & efficient gas fireplaces, awesome loft sitting area, great entertaining deck and private hedged yard with storage shed. So much house but nothing wasted. One of a kind. Great access in all directions. Quick closing available.